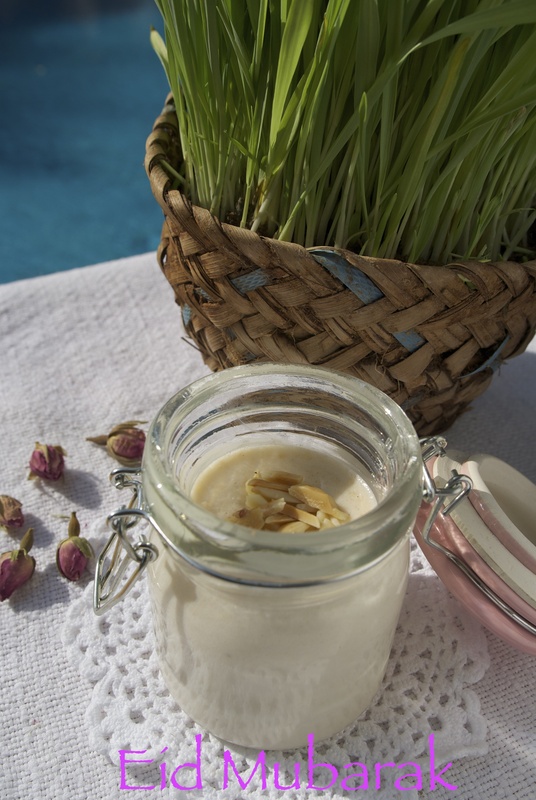 Muhallabia is the arabic name of this delicate middle eastern dessert, made from ground rice and flavoured with rose-water. 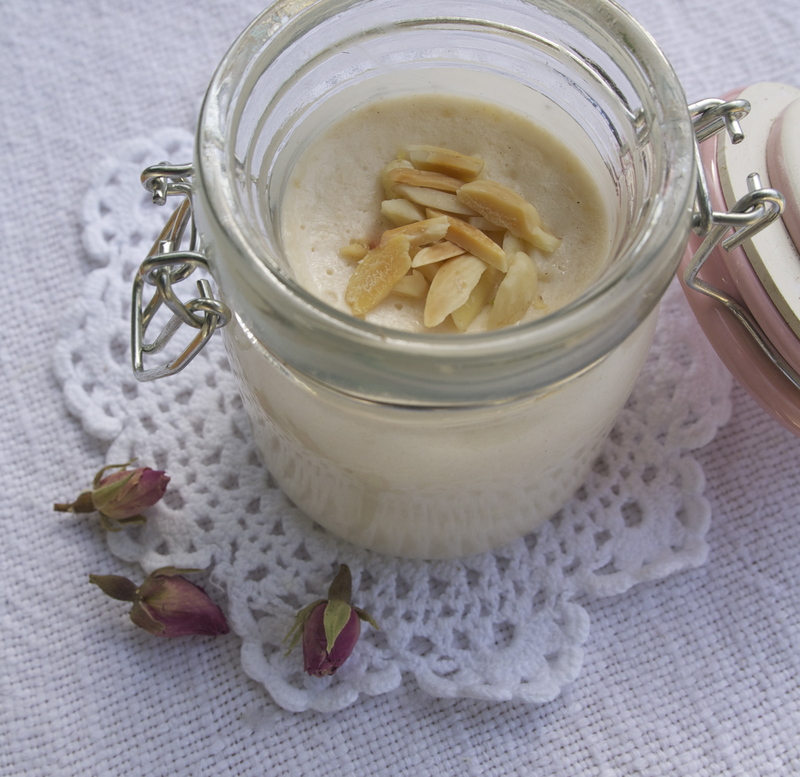 In Bahrain this is a very popular dessert and one of our family favourites. As Eid Al Adha is almost upon us, I thought I would also post a little information about an old tradition Hiya-Biya, which is very popular among the children of Bahrain around this time. How to make: In a small bowl mix the ground rice and corn flour into a paste using a little of the milk. Pour the milk and cream into a saucepan and place over a medium heat. Add the rice paste and stir continuously using a whisk or wooden spoon. Bring the mixture to a gentle simmer and cook for about 15 minutes or until the mixture thickens, taking care that the mixture does not burn at the bottom of the saucepan and spoil its flavour. Add the sugar and ground almonds and cook for a further minute, stirring continuously. Remove for the heat and stir in the rose-water (use more if liked), cool slightly before pouring into a serving bowl or individual serving dishes. When cool cover and store in the fridge for a couple of hours or overnight to chill. Garnish with toasted almonds before serving. Seeing all the traditional Hiya-Biya baskets hanging outside the shops in Bahrain brings back memories of when my children were young and enjoyed this old tradition, celebrating the beginning of Eid Al Adha. Long before the festivity, the children would fill an empty basket with sand and plant some grass seeds. 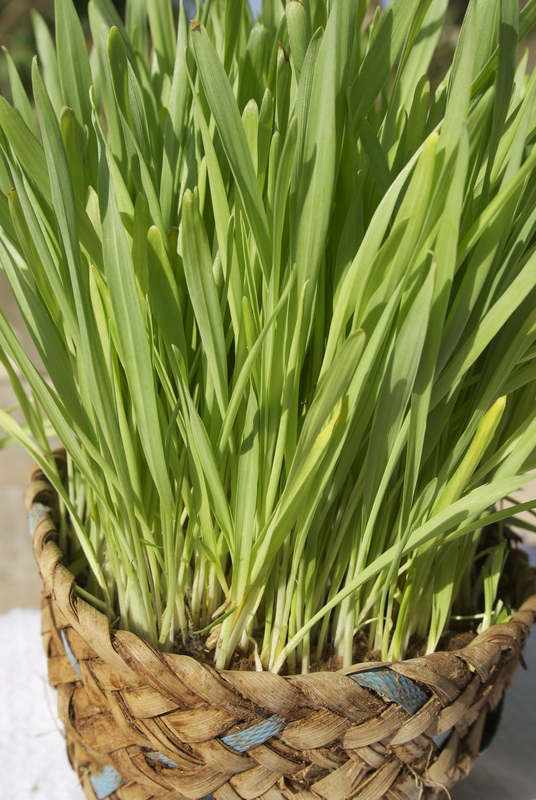 Each day the children would water the seeds and watch with great excitement as the grass grew in their little baskets. On the eve of Eid Al Adha the children would dress up in traditional dress and gather by the sea-side. While swinging and singing a song about the Hiya-Biya (now that I have taken care of you, watered you, don’t forget to bring me joy over Eid and for the safe return of the Haj pilgrims), the children would then throw the Hiya-Biya into the sea, watching them drift away. Rice flour is much smoother whereas ground rice has a slight grittiness to it. You could use rice flour. I believe you might need a grain mill to achieve good results when grinding rice. Thanks for the dropping by.